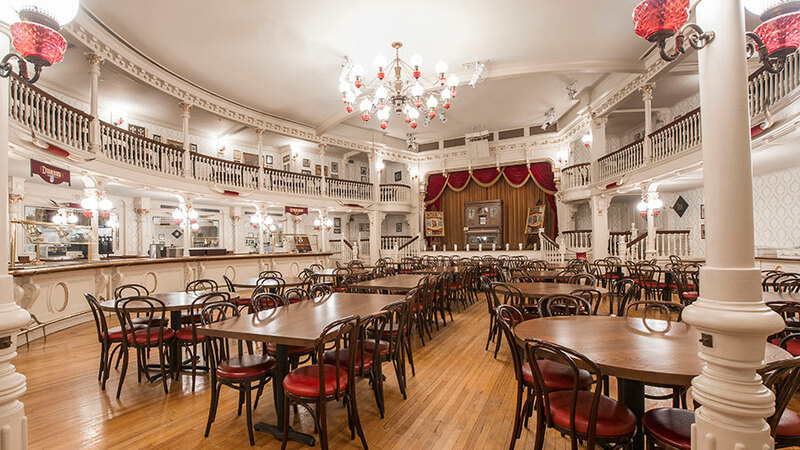 The table-service dining at the Magic Kingdom’s Diamond Horseshoe Restaurant will continue through July 4. The restaurant is normally only open seasonally as a quick-service location, but has been operating since the middle of March and was scheduled to close May 30. Menu items include a Frontier Salad (greens, tomatoes, roasted corn, cornbread croutons, and a house-made chipotle-ranch dressing) and cornbread for the table to share. Entrée choices are a BBQ pulled turkey served over cornbread, spit-roasted ham served with country beans, or stewed beef and mashed potatoes. Each of these will include a side of seasonal vegetables. Photos of the food can be seen here.